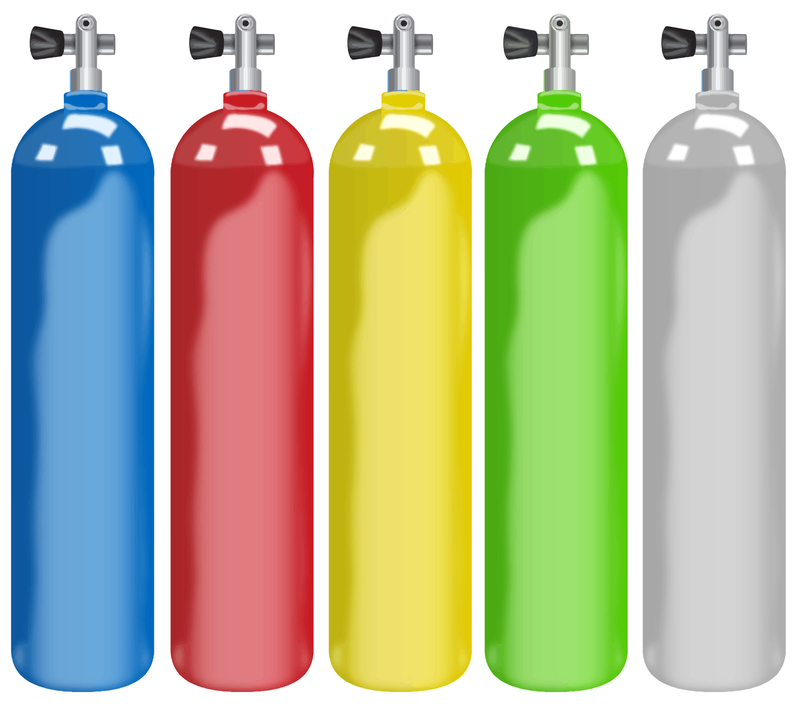 We often receive inquiries regarding what to do with old or empty emergency oxygen (O2) cylinders. 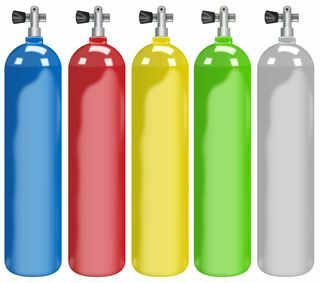 The simple answer is to recycle them – O2 cylinders are either aluminum or stainless steel, but compressed oxygen is considered a hazardous material. So, what steps are necessary to dispose of a used O2 cylinder? Determine whether you have aluminum or stainless steel containers. A magnet will stick to stainless steel; it won’t stick to aluminum. Empty the tanks. Leave the valve open to allow all oxygen to drain. You may also need to remove the regulator. Call your local recycling center. Specify whether your tanks are aluminum or stainless steel (both are recyclable). Many local recycling centers will accept tanks. If your local recycling center doesn’t accept your empty O2 tanks, ask them for a recommendation of another recycling center or disposal method. If you’re unable to find a local recycler, call the manufacturer for further guidance. 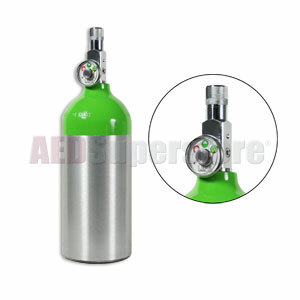 Here at AED Superstore, we sell LIFE® Emergency Oxygen and supplies. According to LIFE Corporation, you can contact your local recycling center to see if they accept O2 cylinders. If your local recycling center does not accept O2 cylinders, they should be able to direct you to a facility where the cylinder can be taken. You may need to determine whether you have an aluminum or a stainless steel cylinder before you call. If you purchased the emergency O2 from us, the cylinder is aluminum. Stainless steel is three times heavier than aluminum, and both are recyclable. If the cylinder has any oxygen left in it, open the valve and allow it to drain. You may also need to remove the regulator from the top of the cylinder. Regulators are usually aluminum with brass flow channels. You can check with your recycling center to see if they accept cylinders with the regulator attached. Sometimes the O2 cylinder will have a business name on it – perhaps a hospital, a medical supply company, or even a scuba diving gear supplier. You can contact this business to see if they are interested in having the cylinder returned to them. Also, some localities have aluminum recycling centers where you may be able to receive monetary compensation for the aluminum tank. After considering all of those options, how about these alternatives? If you’re artistic, perhaps a “found object” sculpture, or maybe decorate your yard with the old cylinders? You may want to check with your neighbors or your homeowner’s association first. Where can I recycle SCUBA cylinders that have been emptied of air? I live in Northern San Diego County, not far from Del Mar. A quick web search of “recycling scuba cylinders” garnered a myriad of results ranging from places to recycle your containers, how-to help, drop-offs, pick-ups, nationwide, and more. Your SCUBA tanks are probably aluminum (if a magnet doesn’t stick, it’s aluminum), and you can probably find a local recycling center for aluminum. You can also contact your local waste management facility for additional help and information. It sounds like it could possibly be dangerous to store up a bunch of old oxygen tanks. I think it’s always a good idea to know what to do with old medical equipment. That would probably limit any hazard and get keep more things from filling up landfills. Old oxygen tanks need to be recycled. It looks like Univita may be going out of business. We recommend you contact your local waste management facility, or recycling center, and see if they take oxygen tanks. If they don’t, they should be able to direct you to someone who does. Don’t forget to completely empty the tanks before you recycle them. Look for the name of the company imprinted on the tanks (or any other equipment). If they are still in business they will definitely take them back…just get the address and drive them in. If the company is out of business, do the recycle center method. I work for an oxygen company and we can’t take other company’s tanks regardless of how or why the patient still has them. If you can assure the tank is empty (outside open the valve very slowly with a wrench if there is no regulator attached, and let it bleed out). Then the valve can be (not so easily) removed- look up how to’s) so they are no longer any kind of hazard. They can then freely be recycled whether steel (very heavy) or aluminum. We are not equipped to accept old oxygen tanks. We recommend you contact your local waste management facility, or recycling center, and see if they take oxygen tanks. If they don’t, they should be able to direct you to someone who does. You can always contact your local waste management facility. Your tanks are probably aluminum or stainless steel. Your waste management service should be able to accept them or should be able to point you to a place that does accept them. You will have to make sure the tanks are completely empty before recycling them. Many people repurpose oxygen tanks for sculptures and such. As long as it is empty there is no danger in reusing an old oxygen tank. Oxygen mask for adults (AND 1 FOR children) with a hose length of 2 m.
1)Can you paint botle in WHITE COLOUR? 2)Can you put European standard conector…? 4)Do you have Ce mark certificate? What is the best therm of delivery , you can offer to us? Many thanks in advance for support and fast answer we hope..
We do not carry such items and cannot export oxygen tanks. Hi Judi – unfortunately we aren’t well versed in that kind of disposal. We would recommend calling the recycling company to see if they have recommendations.